Established in the 1930’s, the Pacific Northwest Ski Association (PNSA) was one of the first professional ski associations in the United States. The association was comprised of ski instructors and race coaches from throughout the Northwest. In 1958, the ski instructors decided to go it their own and formed their own association then known as the Pacific Northwest Ski Instructors Association (PNSIA). As other instructor organizations popped up throughout the country, a group of men came together at Big Mountain, MT in 1961 (now known as Whitefish) to form the beginnings of what we know of today as PSIA-AASI (for more history, click here). At its inception, the group hoped this national organization could better bring consistency and commonality between the various regional organizations. In the 80’s, the regional organizations decided to amend their names to reflect the idea of being more similar and each took on the PSIA letters with their region attached to it. 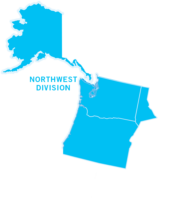 Specific to the Northwest, PNSIA changed its name to PSIA-NW and currently its full name is the Professional Snowsports Instructors of America – Northwest (PSIA-NW). PSIA-NW is a non-profit association that provides multi-faceted support to snowsport instructors and snowsport schools. Elements of this support include, developing and providing high level education, promoting snowsport instruction and preparing and administering certification exams, upholding the nationally agreed upon standards. Working to ensure consistency in certifications and certificate programs throughout the nation, we have representatives from the Northwest participating in meetings, work sessions and trainings throughout the year with other representatives from other divisions. We are one of eight divisions of PSIA-AASI. Download PSIA-NW’s Bylaws in PDF format. Download Policy Governance Manual in PDF format. Click below for the PSIA-NW Articles of Incorporation.